"Umm, hi. I'm the pizza guy, I've been ringing your doorbell for the past half hour. But I needed to get that pizza to you, so I broke your window. I took your TV and laptop because Du made me wait, but the pizza was free since it took over half an hour! Have a nice day, sir." graubraun, dun graubraun, dun dun! *gasp! * graubraun, dun graubraun, dun dun! hi nya. we are selling nekos to use for whatever Du want to use it for weather it be a slave girl/boyfriend oder just to kill for your own greedy selfish reasons nya. 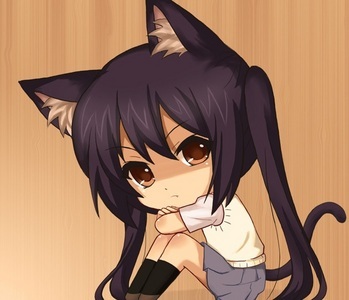 a neko is half human and half cat nya. i will warn Du that nekos will constantly end their sentences with nya, if Du don't want this than Du can special order your neko nya. call now to get the hottest neko at 1-80-666-slave nya. and now zim will destroy Du filthy humans!!! "DUDE, Du owe me 5 bucks." "I'LL KILL Du IF Du DONT GIVE ME 5 BUCKS." "Could Du atleast puke back up teh girlscout kekse, cookies that where 5 bucks.. Have a SCOUTTASTIC day." yeah, Du don't want moofy coming to haunt Du oder something. hi its logan lerman and im the hottest person alive =). i wish i got that message! *creepy heavy breathing* Du better lock the doors. Lol, when I was younger I'd call this family and do heavy breathing, most of the time they weren't home. But then one Tag they call me back. Oh snap! hi. i was just calling about this order of pizza Du called in. yeah, we don't make our pizza out of dog crap. and we don't deliver to the bottom of the ocean, either. Hey! I didn´t hear the beep...When can I leave my message? Operator: I am sorry. This person is talking to (Bella's voice)Edward Cullen. Please leave a message after the tone. (Answering machine): The Swans are out right now, please leave a message after the beep. [Machine]: Hi, its Bella. If its Jacob, stop leaving messages saying "OH C'MON!" and if your not a Cullen oder my dad, don't call me. At ALL! you, Du order lo mein, yes, and, and don't forget your fortune cookie, uh,uh, please pick up your fortune cookie and lo mein, uh bye. A Guy: heu, hay Ashley! Her: I sent Du something on skype saying, "ANSWER YOUR PHONE." oh yeah, I typed it with one hand! G: So, do Du do this often? H: What, leave 10 Minuten messages? H: Oh yeah, Ashley's voicemail box is full of them just from me and Zufällig guys from chatango. G: I'm not just a Zufällig guy from chatango, I'm your husband! H: Zufällig guy. End of story. H: OH SHE REPLIED! She said, "okay. call me again." have Du check the children? WHAT?! DON'T Du DARE SWEAR AT ME! *breathes in deeply and out again* "Turn. Around."